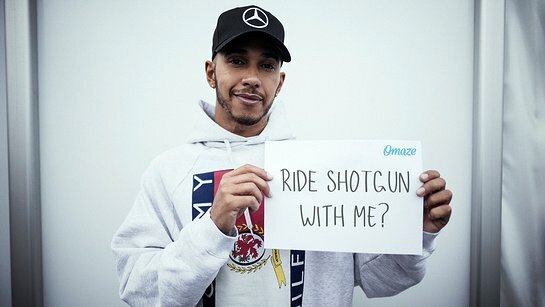 omaze.com is giving you the chance to ride shotgun with Lewis Hamilton at the US Grand Prix, and all you have to do is donate to charity. 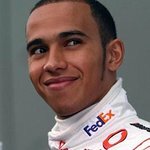 Wanna Ride Shotgun with Lewis Hamilton at the US Grand Prix? That’s right, before the United States Grand Prix goes down in Austin, you’ll ride shotgun with the four-time world champion in a Mercedes-AMG GTR around the actual race circuit. But that’s only the first lap. You and a friend will also get exclusive access to the team paddock and hospitality area during race weekend to cheer Lewis on as he competes to win the US Grand Prix for the fifth time in a row. Plus, you’ll even take a seat behind the wheel of his car to snap a photo (or two or three). Flights, a Mercedes rental, elegant dinner and hotel are included. The more you donate to Red Nose Day through omaze.com, the more chances you have to win. Red Nose Day USA drives positive change through the power of entertainment. It’s about making it fun to come together to raise money and awareness for children who need our help the most, in America and around the world. Red Nose Day USA’s mission is to end child poverty — one nose at a time. Red Nose Day USA launched in America in 2015 and has raised over $145 million in its first four years in the US. Funds raised support programs that ensure children who are living in poverty are safe, healthy and educated. Red Nose Day started in the UK in 1988 and has raised over $1 billion globally. To find out more about this exciting opportunity, click here.